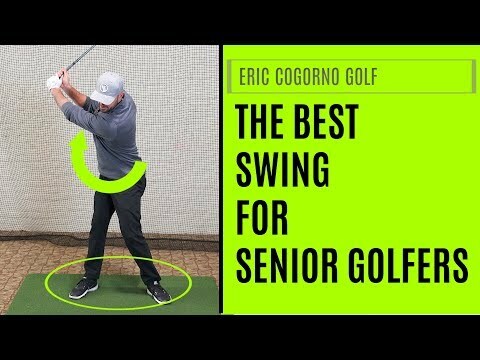 Learn to create an easy swing with this simple golf tip to improve your backswing. Senior golfers often site their lack of distance down to poor flexibility and injury issues. While this can be the case...for many of my clients they misinterpret how to make a correct turn in the backswing. In this weeks golf lesson you will learn how to complete your golf swing so that you have more energy stored and can generate more distance. Senior golfers often site their lack of distance down to poor flexibility and injury issues. While this can be the case…for many of my clients they misinterpret how to make a correct turn in the backswing. Awesome instruction, Danny! Thanks so much. You got really good lessons. That is how you supposed to teach golf. Best instructor on the internet, period! Awesome Danny, plain and simple. I think a big problem is we're constantly told to not come over the top. But coming over the top is NOT what you're showing here. Coming in steep is fine as long as 12 o'clock (the lowest part of your swing) is toward the ball. It's actually better because it's less lateral movement which means less slicing or hooking. Where it gets into a problem is if 12 o'clock is toward the target (and is below the ground), so you end up chopping the ball to adjust, almost like an axe swing. That's what coming over the top really is. So I'm thinking people have a bad swing because they misunderstand what coming over the top really is and they have a "shallower" swing, but 12 o'clock is still toward the target. So it's not a chopping motion, but still the same problem and way more prone to slices and hooks. I should make an animated video showing this. Actually, I do renders in my spare time. This would be a cool project I think. Time to model me some 3D golf clubs. How much right arm power is a person to use if any? Good video! But the target is surely the fairway, not the ball. Do I throw the club down or just let drop?. I love this guy. Keep it simple. He's great. 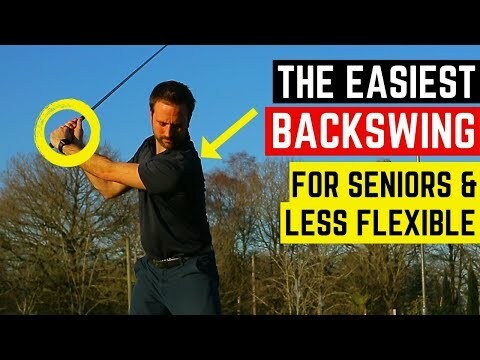 I love your videos and insightful comments and since you kind of brought it up in this particular video, could you please do another video (or a detailed commentary) on the difference between the two plane vertical golf swing (which you teach) and the single plane, rotary "flatish" golf swing that others teach and of course say is better. 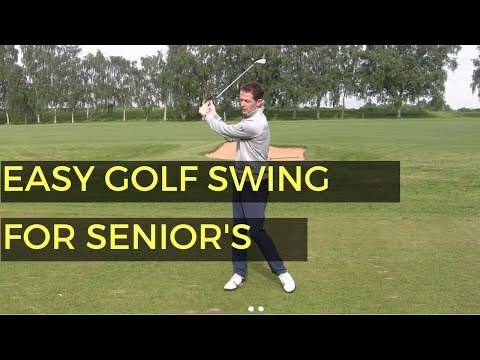 Another great video Danny, but at the age of 68 I find it hard to keep my left arm straight to the height you were showing for seniors! 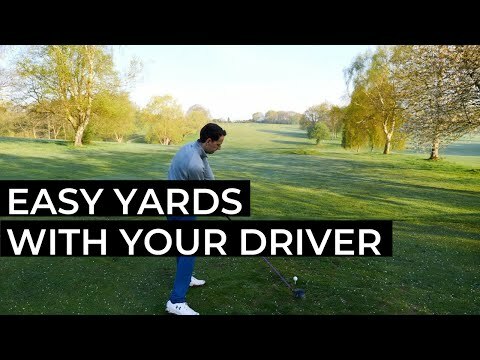 This tip is good for any golfer Danny, as this is something that creeps into my backswing especially when I think I am getting the better of the game of golf! Simple, easy to grasp instruction. Always the best by far for me. Tk's Danny. Thanks, good lesson. Merry Christmas Pro. Danny, great instruction. I have the tilt, the turn and get the club up high. However, really struggle on the down swing with over the top which is causing shots to fade or slice. I was hoping you would go a little deeper in your explanation of the down swing and how to correct this problem that I am sure causes a lot of frustration for many golfers. Thanks. One other point/question. In attempting your takeaway tip, I have felt that attempting to stabilize my lower body as I push back does in fact cause me to reverse pivot. However. if I allow my right hip to move backwards during the takeaway, I retain the spine angle. You haven't mentioned whether the right hip moves or not in the takeaway but for me its the only way to prevent leaning towards the target like your client Ed in the video. You have some of the best lessons on YouTube! I'm practicing your chipping lesson right now! I'm 70 and certainly have lost flexibility. I will concentrate on your lesson and drill! Thanks! Another great video. Thanks for the weekly content! Danny, you explain these concepts so well! I really enjoy your videos and out of all the videos I follow, yours is definitely the best!! Keep up the great work and looking forward to your next video!! I really enjoy your teaching. I am 60 year young women who has played at golf for over 30 years. Now I have time, and the more I've played the worse I've become. help! I can't stop my backdating and break at top.